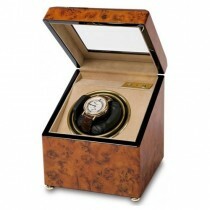 Dalvey, exceptional quality gifts for men, established in Scotland in 1897. Choose from our range of Dalvey hip flasks, pocket watches and executive gifts. Compact Dalvey clipper alarm clock - black dial, silver hands and rose gold plated roman numerals. 60mm in diameter. A classic full hunter pocket watch featuring a round white dial with, roman numerals, orange hands, sub dial, mechanical movement with 17 jewels, case size 49x14mm. Supplied in a Dalvey presentation box. The original stainless steel detailed Dalvey hip flask, slim and compact easily fits into any pocket or sporran, 118mm diameter and holds up to 125ml. Supplied in a Dalvey presentation box. Portability and engineered convenience incorporating a telescopic cup in the back of a Dalvey Flask make this a fantastic gents gift. This hip flask and pocket cup combination is perfect for those who enjoy outdoor pursuits. The flask has a diameter of 133mm and holds 195ml. Supplied in a Dalvey presentation box. Looking for something different as a gent&apos;s gift? This crystal glass globe rotates in all directions, held in a stainless steel cradle. This product is 84mm in height, and the globe has a diameter of 60mm. Supplied in a Dalvey presentation box. A classic modern open face pocket watch featuring a striking blue mother of pearl dial, silver hands and roman numerals, case size 42x11mm. Supplied in a Dalvey presentation box. A classic modern open face pocket watch featuring a white dial, orange hands and roman numerals, case size 42 x11mm. Supplied in a Dalvey presentation box. Great for when you are out and about. A stainless steel case containing a telescopic pocket cup. Case size - diameter 61mm, thickness 18mm. Supplied in a Dalvey presentation box. Great for when you are out and about. A stainless steel case with soft black rubber containing a telescopic pocket cup. Case size - diameter 75mm and 22mm in height. Supplied in a Dalvey presentation box. A classic Dalvey design: combining an Italian leather wallet accommodating up to 10 credit cards with an engraveable stainless steel money clip, which securely holds notes. A compact version of Dalvey&apos;s classic hip flask. This pocket sized hip flask features Dalvey&apos;s new gold tone badge. 75ml capacity. 88mm diameter. Supplied in a Dalvey presentation box. A compact version of Dalvey&apos;s classic stainless steel pocket hip flask. The flask features Dalvey&apos;s new badge design. Small enought to fit snuggly in your pocket or sporran. 75ml capacity. 88mm diameter. Supplied in a Dalvey presentation box.